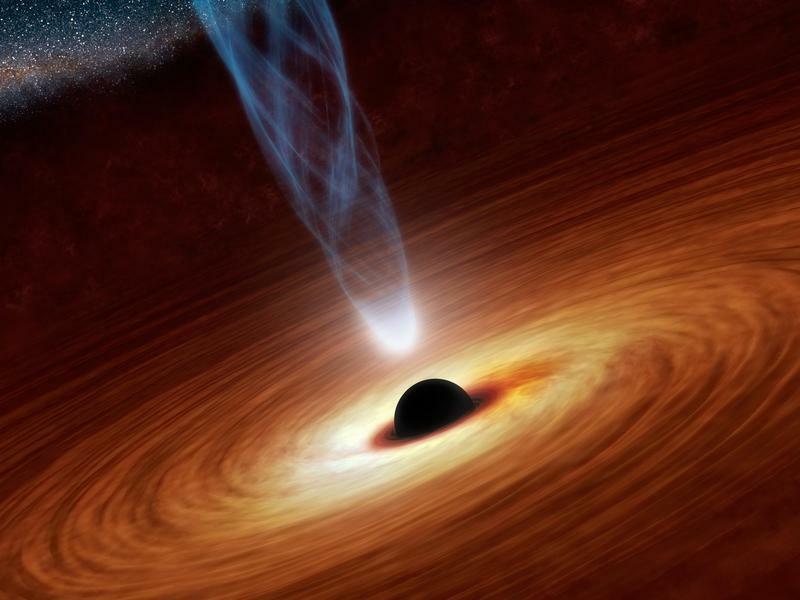 Scientists have seen the vast blast thrown out by a black hole eating a star for the first ever time. Researchers have finally watched the formation and expansion of the fast-moving jet of material that is thrown out when a supermassive black hole's gravity grabs a star and tears it apart. Scientists watched the dramatic event using highly specialised telescopes, which are trained on a pair of colliding galaxies called Arp 299, nearly 150 million light-years from Earth. At the centre of one of those galaxies, a star twice the size of the Sun came too close to a black hole that is more than 20 million times big as our Sun – and was shredded apart, throwing a blast across the universe. It was that blast that scientists were able to see happen for the first time ever. 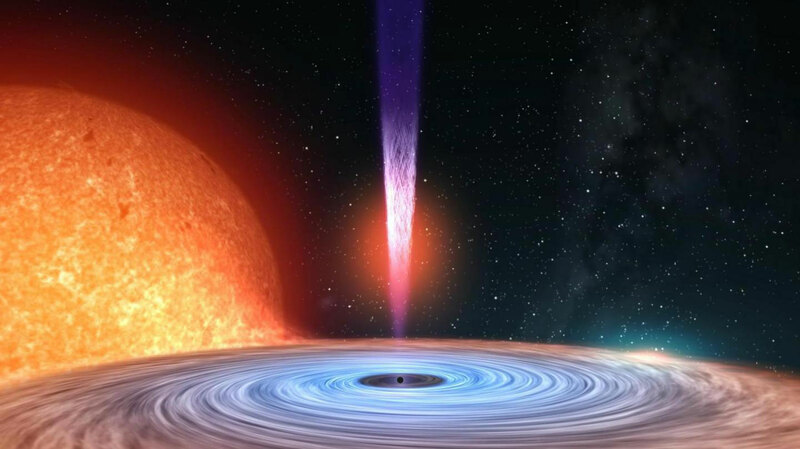 Theorists have long thought the events were common – speculating that material torn from the star makes a rotating disk around the black hole, emitting intense X-rays and visible light, and also pushes jets of material outward from the poles of the disk at nearly the speed of light – but have been yet to see it actually happen. "Never before have we been able to directly observe the formation and evolution of a jet from one of these events," said Miguel Perez-Torres, of the Astrophysical Institute of Andalusia in Granada, Spain. Most galaxies have supermassive black holes, which can pull matter into them and form a huge disc around their outsides as they do. But for the most part, those black holes stay quiet, not devouring anything. That means that the violent events that scientists have finally seen can be a unparalleled insight into what actually happens around a black hole. “It can also help understand evolution of jets in the vicinities of these powerful objects," he added. "Because of the dust that absorbed any visible light, this particular tidal disruption event may be just the tip of the iceberg of what until now has been a hidden population," Mattila said. "By looking for these events with infrared and radio telescopes, we may be able to discover many more, and learn from them," he said. Researchers had initially turned their sights towards the doomed star as part of a search for supernova explosions in such colliding pairs of galaxies. They had initially thought that they were seeing was one such a supernova explosion – but it kept expanding, confirming that it was in fact a jet being spewed out as the star was torn apart. It is tearing appart indeed, but no proof of eating the star jet.